Having used the Simple Facial Cleansing Wipes all through out my teenage years, I decided it was time for a change in routine. After hearing so many reviews on this Bioderma product and is very easily found in my local drugstores here in Malta I just had to give it a swirl. 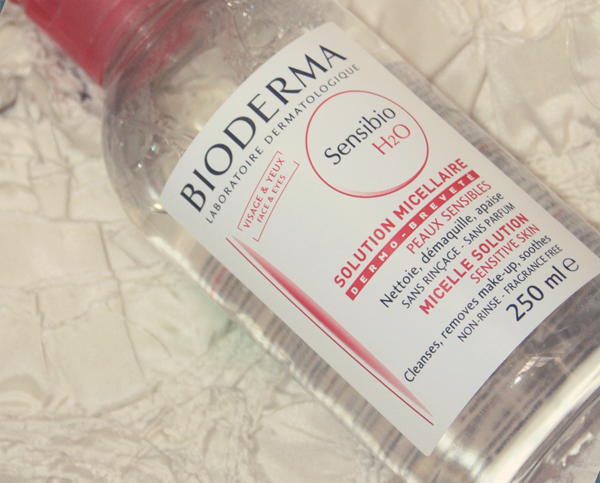 Bioderma Sensibio H2O 250ml £9.99/€8.65 is a daily cleanser and removes makeup mainly for sensitive skin types but can be used on other skin types of course. My skin is pretty sensitive and with that being said, I have to be careful as I break out just in my chin area which can look a bit weird and odd in some cases. This has become my day/night solution when removing makeup and cleansing my skin in the mornings before my makeup application. I usually use between 2-3 cotton discs and leaves my skin looking clean and anti-redness ( as with application of a moisturizer, my skin tends to react for 5 minutes or so before it calms down). I didn't notice any dryness or burning in the eye area which is a good sign. I do use it both on my face, neck and in the eye area so I am really pleased with that outcome. I have been using it daily and noticed that it will probably last me between 2-4 months at least being it's a 250ml bottle. One thing i did notice is it's much cheaper than in the U.K. which is strange as here usually everything is overpriced! a 500ml bottle costs just €15 which is a bargain compared to the uk costing around about £20. I would recommend this product to anyone wanting to try out something new. For me this was a great investment as I go through makeup wipes within 2 weeks or so. HAVE YOU TRIED THEIR RANGE? 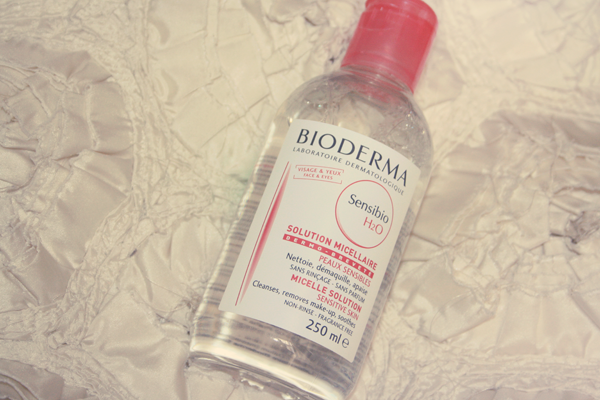 @ Sarah I love it so much I do agree with you tho, it works amazingly to remove eye makeup! Oh no that is such a shame! It removes my waterproof mascara like a dream. All i do is pop a cotton disc over my eye and let me melt for about 10 secs then i wipe downwards. Ah well i would invest in this bottle, it works wonders and i much prefer it than makeup wipes nowadays!